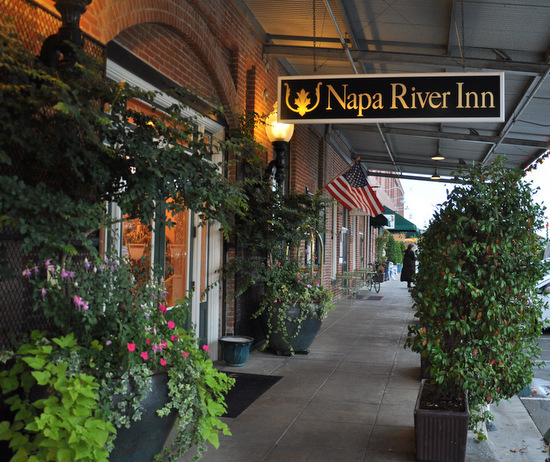 The Napa River Inn is the next beautiful hotel whose history we will take a look back at. What catches our attention to a site is usually the sign. And the Napa River Inn signage is no exception. It can be viewed from across the river and is a bright red, large Neon Sign as well as an elegant Blade Sign and historic Pole Sign. Inspired by the boldness of the sign, we wanted to learn more about the building which it represented. So we dove into the archives to discover when this elegant property surrounded by lush and graceful scenery was opened and it’s past. 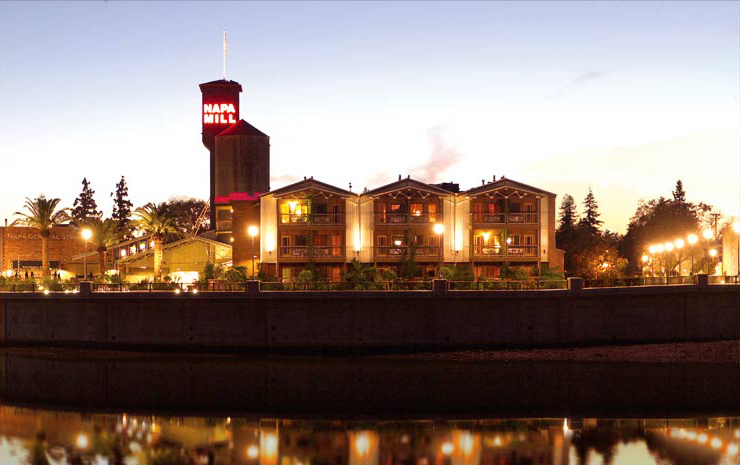 Originally the site where the Napa River Inn now stands, was purchased to store goods from the wharf that was constructed there by Albert E. Hatt in 1895. However, the industry of Napa Valley soon went from farming to grape harvesting. And for many years this building served as a warehouse for the successful agricultural shift. Over the years it become a hotspot for any tourists traveling to Napa. A premier with 66 rooms, most with fireplaces, views of the river and balconies. 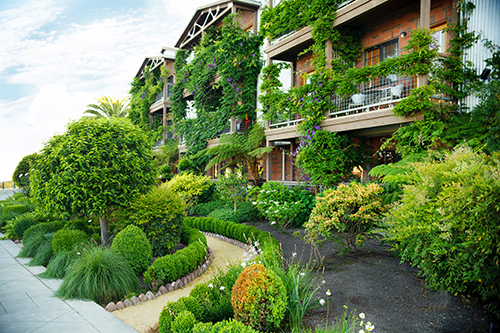 “The Historic Napa Mill, an entertainment mecca, boasts a variety of 4 restaurants, a gourmet food and gift market, an art gallery, a jazz nightclub, European day spa and an onsite bakery.” (Read More). 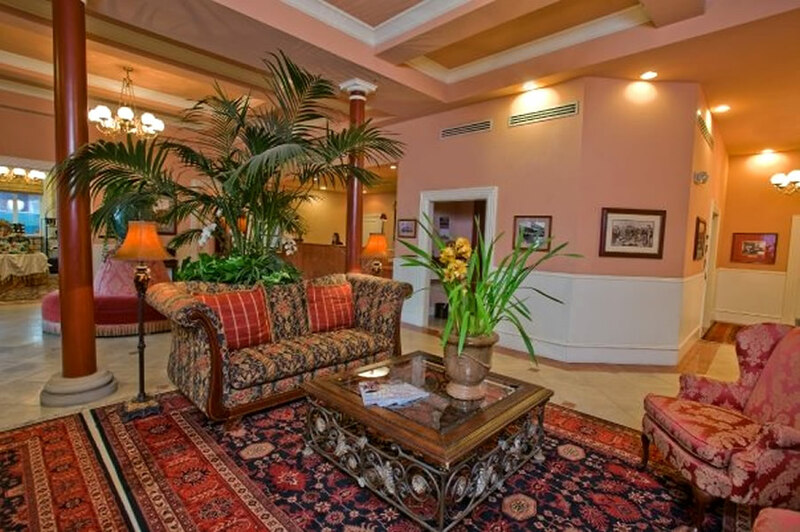 This historic site has transformed overtime, keeping up with the Napa industry and demands and today is beautiful, elegant inn for any traveler looking for a little history served with their wine. Signage can inspire us to unlock hidden mysteries. It may be one of the first things that a passerby notices, or at the very least tell him or her what they are viewing. In an age where information is literally at our fingertips, installing signage on a site is one of the most successful ways to market a company, intrigue a curious onlooker, and make a bold and powerful statement that we have been here and we aren’t going anywhere either.